How do countries in the ASEAN bloc measure up in the race for driverless cars? According to KPMG’s latest Autonomous Vehicles Readiness Index, Singapore ranks for the second consecutive year among the top countries ready to embrace autonomous vehicles (AVs). The country holds the first place for AV policy and regulation and second for infrastructure - surpassed only by the Netherlands - and is widely recognised as a global leader in AV development. The city-state is also a hotbed for AV startups, such as nuTonomy, which is taking advantage of the government’s willingness to make driverless cars readily available sooner rather than later. It is expected that by 2022, autonomous buses will operate scheduled services during off-peak hours in three residential areas of the island, away from the city centre. The first autonomous bus trials, led by Swedish car manufacturer Volvo, will soon start taking place at the campus of Nanyang Technological University. This is all great news for Singapore but what about the rest of countries in the Association of Southeast Asian Nations (ASEAN)? Are they keeping track with the speed of their small neighbour? Here we take a look at the driverless vehicles landscape throughout the rest of the region. In August 2018, the Association of Indonesian Automotive Manufacturers (Gaikindo) held a 10-day expo to show off some innovations from the automotive sector. This provided an opportunity for the latest advancements in Indonesia’s AV technology to be exhibited to the world, alongside some of the biggest names in automotive manufacturing. However, not everyone is convinced the roads of Jakarta are quite ready for self-driving cars yet. Traffic congestion is one of the biggest problems facing drivers in Indonesia and there are concerns that some of the biggest developers of AVs in the US haven’t taken enough time to research their effectiveness on the roads of non-Western countries. Back in 2016, Malaysian research and development company, REKA, decided to embark on a mission to make its home country a big name in the autonomous vehicle space. Determined to produce their own self-driving technology, the team developed a chip that was then inserted into a car along with sensors, GPS and a videocam. With two passengers in the back seats and no driver, the autonomous vehicle was able to successfully travel from Kuala Lumpur to Melaka. The team have continued to develop increasingly sophisticated prototypes since that first incarnation and last March, the Malaysian government announced it intends to capitalise on the advancements in AV technology by running a research and development programme until 2025. Malaysia is also the birthplace of ride-sharing app, Grab. Originally thought to be ASEAN’s answer to Uber, Grab acquired the US company’s Southeast Asian operations in March 2018, making it the biggest ride-sharing app throughout the region. Now offering its services in Malaysia, Indonesia, Philippines, Vietnam, Thailand, Myanmar, and Cambodia; Grab partnered with Singapore-based company nuTonomy in order to develop and test autonomous technology. Grab expects its self-driving taxis on roads throughout Southeast Asia before 2022. The Philippines already has a smart cities development programme underway, Clark Global City, which would act as the perfect terrain for autonomous vehicles. 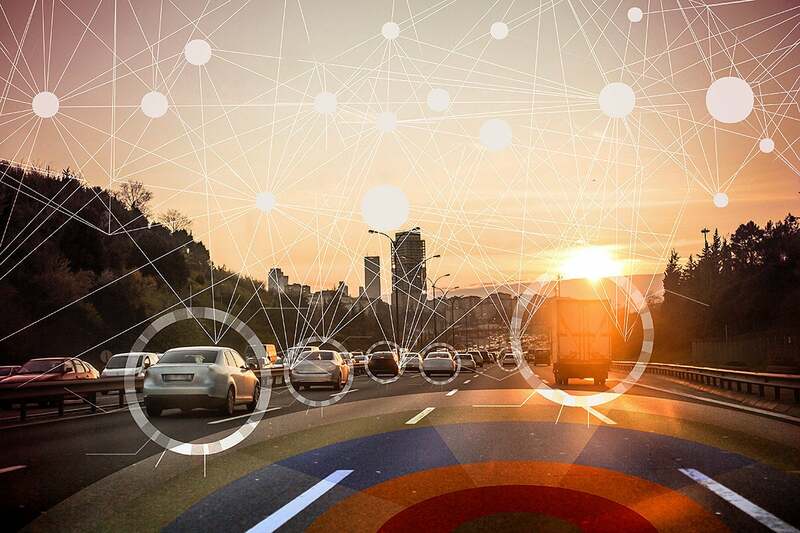 Those involved in the projects are keen to ensure that the framework for driverless cars are baked into the foundations of the development, providing a space where technology startups can launch and thrive. However, the Filipino Insurance Commission has warned the government that if a cohesive environment for driverless cars is to be achieved, there first needs to be a comprehensive overhaul of certain laws. Current regulations in the Philippines don’t address the various concerns associated with autonomous vehicles, such as liability and regulations, and the insurance industry is worried about potential repercussions once this technology becomes a staple on roads throughout the country. Thailand has long been considered the automation production centre of Southeast Asia but when it comes to the adoption of automotive technologies, the country is often found lagging behind its regional peers. Currently, there are three main barriers thought to be hindering the introduction of driverless cars on Thai roads. Firstly, Thai regulations are largely incompatible with autonomous vehicles, meaning champions of the technology are unable to take test cars out in public. Secondly, compared to a country like Singapore, infrastructure in Thailand is sub-standard. In some parts of the country, poor urban planning means roads have not always been laid out according to original plans, meaning navigational systems are prone to inaccuracies. Additionally, traffic lights and road signs throughout the region can often be misleading. Finally, and perhaps most significantly, the market for driverless cars does not yet exist in Thailand. Although the country has a larger population than Singapore and Vietnam, unlike the city state, it is not regarded as an early adopter of emerging technologies. As driverless cars become less experimental, there’s every chance they’ll make their way onto the streets of Thailand. Unfortunately, the country currently has no plans to push forward with this project itself. Not looking to be left behind, earlier this year the Vietnamese government gave the green light to a request from FTP Software to run a driverless car pilot scheme in Vietnam’s hi-tech zones and software parks. Vietnam’s Ministry of Transport sees the development of autonomous vehicles to be in alignment with Industry 4.0, a strategy they are keen to promote. According to FTP Software, the cars can travel at 25 km per hour and use various techniques such as radar, GPS, and computer vision to monitor their surroundings, automatically break and avoid obstacles.